A new credit scoring system could make it easier for some select groups of people to obtain a mortgage or any other loan. This applies mostly to people with FICO credit scores ranging between five and six hundred, as well as those who have no (or little) credit history. The new credit scoring comes by the name of UltraFICO. It is a new scoring system that allows consumers to establish credit based on their savings and banking activity versus the traditional approach, which exclusively used loans (like mortgages and car loans), credit cards, and other forms of debt. The group of people who will be most affected by this new scoring system are those people who fall between 500 and the low 600s on their credit scoring. This encompasses approximately seven million Americans. This credit scoring is typically just below lender’s minimum required credit for loans, which can be a frustrating place to be. The fifteen million people living in the US today with no credit will also benefit. People who have no credit have never taken out a loan or applied for a credit card. If they’ve applied at any point in the past, they have not been approved – probably due to a lack of credit history. The new scoring system will also come with a few secondary benefits. The biggest one being that the average consumer will be given more control over their financial options. 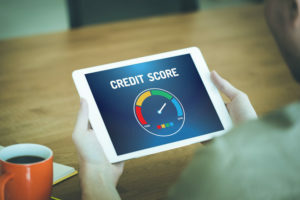 While the old credit scoring system won’t be replaced or outdated, people will now be allowed to contribute their own positive data to help boost scores. This can help those just below normal thresholds to successfully obtain loans that would otherwise be just out of reach. For the first time in history, people will have the ability to play a direct role in determining what their own credit scores are – within reason, of course. Traditionally, credit scores were affected by things like total credit balances, repayment history, length of credit history, etc. With all items based on previous or current loans and debts, it has been hard to improve scores without investing a significant amount of time and effort. Many people are wondering why this new credit scoring system would be released – but the answer is actually quite simple. All these things that the UltraFICO will look at weigh heavily on a person’s ability to repay loans. If someone makes their monthly bills on time every month for five years, chances are high that they will also repay their loans. By allowing more people to obtain loans, the real estate industry (and others) will be able to solve some issues, such as less people being able to afford homes. The new score will be tested at select venues in early 2019, and become more widely available later that summer. This entry was posted in Blog and tagged Credit Scoring System, UltraFICO by Scott Li. Bookmark the permalink.